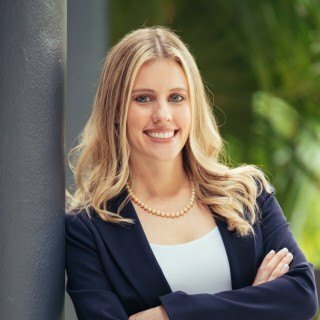 Justia Lawyer Directory Florida Miami-Dade County Hialeah Jacqueline Bowden Gold J.D. I would trust Jacqueline to prepare my own and my family's estate planning and probate issues. She is an amazing advocate and individual. There is simply no one better. Jacqueline Bowden Gold concentrates in the areas of probate, trust law, guardianship, estate planning, and asset protection. Ms. Bowden Gold has over 5 years in legal experience. A native of Miami, Florida, Ms. Bowden Gold received her J.D. from St. Thomas University School of Law in 2013. Ms. Bowden was President of the Student Bar Association where she served as the voice for the student body. While at St. Thomas, Ms. Bowden was a member of Phi Delta Phi Legal Honors Society, Hispanic American Law Student Association, and Animal Legal Defense Fund. Ms. Bowden also completed a fellowship with the Honorable George A. Sarduy of the Eleventh Judicial Circuit Court of Florida, Family Division. Activities: Member of Phi Delta Phi Legal Honors Society, Hispanic American Law Student Association, and Animal Legal Defense Fund. 2017 Property Tax Appeal Deadline: Read the Small Print! Big Mistake: Naming A Minor the Outright Beneficiary – Of Anything! Email Jacqueline Bowden Gold J.D.